Manning House has long been a focus of USyd student life. Courtyard and Hermann’s Bar may have their fans, but Manning is the undisputed top dog when it comes to uni bars – it’s an institution. Introducing your new campus bar: Manning Social. There’s greenery hanging from the roof and a lot more places to sit. 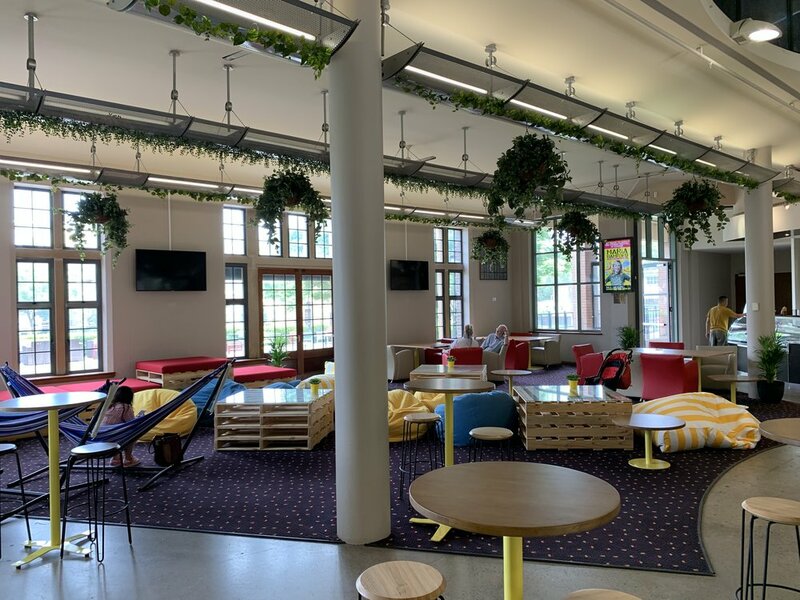 The floor has been divided into a number of zones, including a “study zone” with large benches to work on and power outlets to charge mobile devices, a “chill zone” with comfy chairs and large flatscreen TVs, and a “bar zone” with industrial-chic seating and you guessed it, a bar. The reno is underway as we speak, and who knows what will come next. The large outside area could be a cool beer garden – and we’ve heard there will even be a weekly $2 BBQ.